Alfa in 2016 revived this model name but didn’t recapture the essence of its original Giulia sedans. 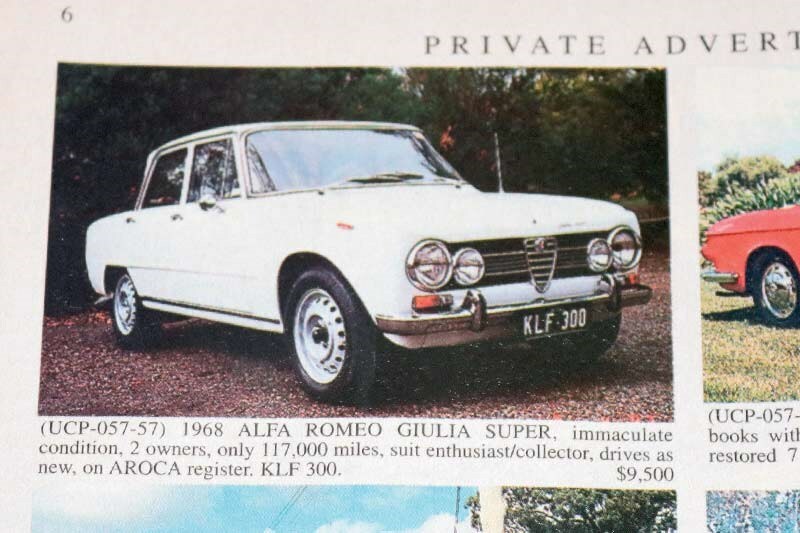 Alfa’s chunky Ti and Super four-doors were seen in all manner of roles including fronting the camera as police cars in innumerable spy thrillers and winning the first Sandown Six Hour race held in 1964. They came with 1.3 or 1.6-itre engines, disc brakes all round and a five speed gearbox. However, they were a bit pricey to sell well in Australia. This survivor seems excellent and based on the money being generated by Giulias worldwide would have doubled its value in 21 years. Massive money to ask in 1985 for what was a well-built and well-regarded example of the 1920s middle class American automobile. 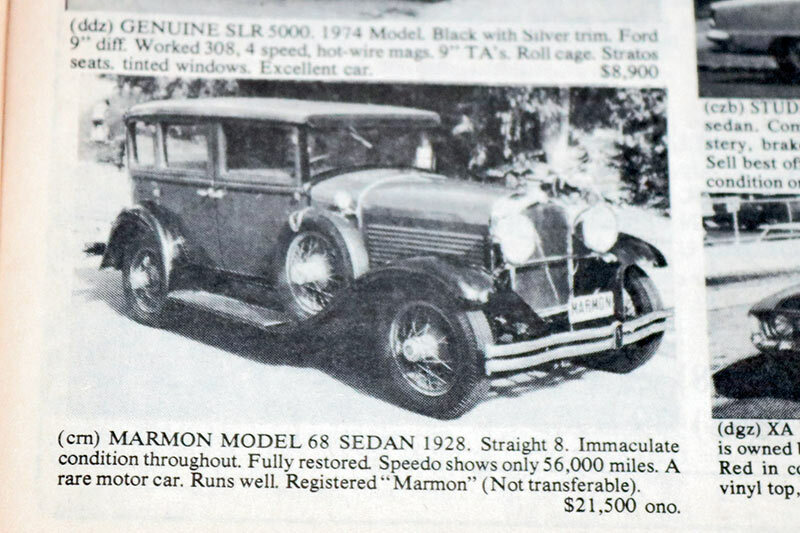 Even before the Great Depression belted it into oblivion, Marmon had suffered some setbacks and decided in 1927 to supplement its prestige model range with a cheaper ‘ Little Marmon’. Renamed Model 68 for 1928, the straight-eight’s sales more than doubled to 29,000 during the following year. They aren’t common in Australia and recent sales suggest the buyer and subsequent owners would be fighting a losing battle against inflation. A step up from the XL Chrysler featured in our Best Aussie Sixes spread a few issues ago, this six-cylinder four-speed 770 is a very rare beast indeed. And look at the price. The vendors were well aware too of what they had; pricing their car at almost double the value of a typical V8-engined automatic 770. A search of popular Charger sites failed to detail the number of VKs built to this specification but it was very likely fewer than 50. 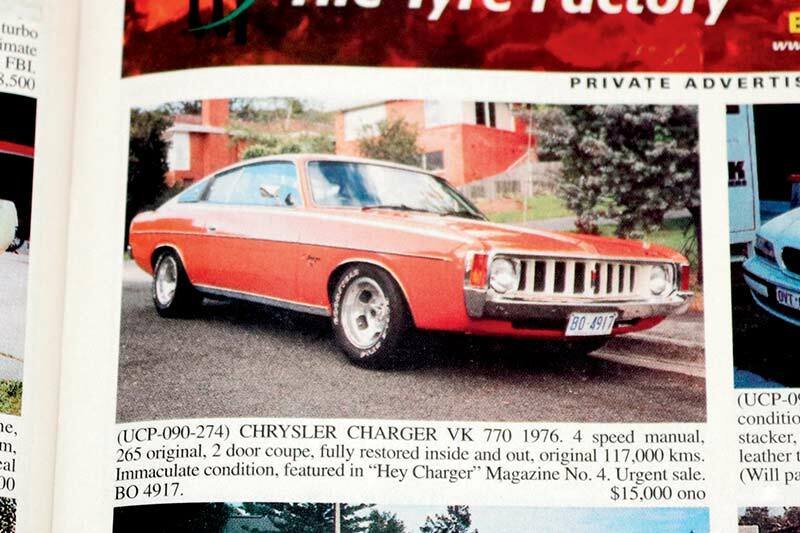 Years spent in Tasmania would have helped stave off rust so if you own this significant Charger please send a photo and some details of where it’s been. My brother owned a factory manual turbo Berlina, in a light blue metallic with silver bumpers. It was a stunning car with a set of ZR6 ROH wheels, JPC built motor with a distinct painted orange head. He sold it and I let it getaway in the early 2000s. Did it survive?